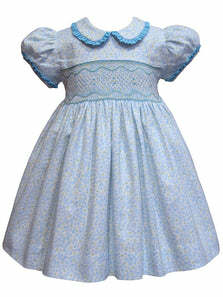 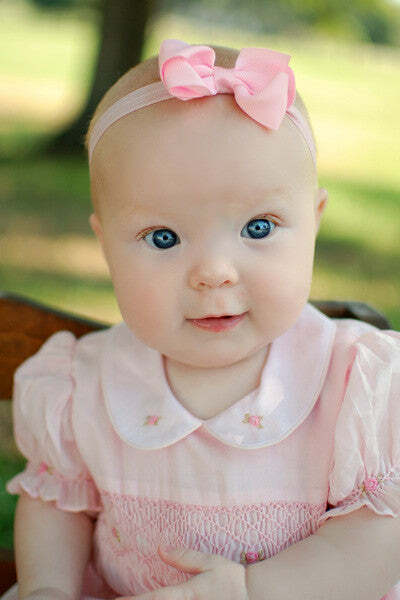 Dress your little girl in this adorable ensemble made in silk dupioni in trendy blue haze color. 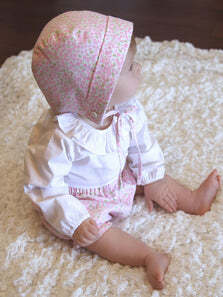 The bodice is hand smocked by skilled artisans, embellished with perfect soft pink daisy flowers. 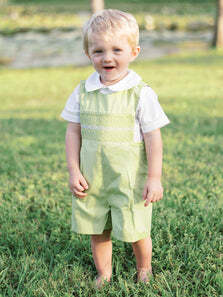 The yoke is piped with mini piping, feminine Peter Pan collar, and short sleeves. 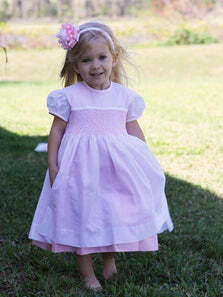 The back has a long sash in the back for the perfect bow, silk covered buttons and the gown has a built-in lining. 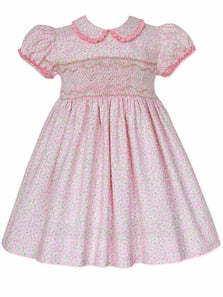 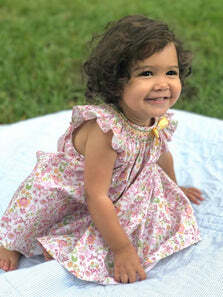 This breathtaking silk girls dress is perfect for a little flower girl, any special occasion or portraits.